#1 MY PARENTS From my early childhood, I have been instilled with strong foundations of confidence and ambition. Born and raised in the French countryside, my dad was a doctor and my mum was a teacher. They raised me, my twin sister and my brother to believe that we could do anything. I am especially grateful to my mother who pushed me to fulfill my potential. Thanks to her I pursued a business degree, when no one in our surrounding was working in that field. She knew me and believed in me. She was also an incredibly positive example, working full-time and raising three kids. And what I still like the most about my mum is that she is an attainable role model, in which my sister and I (and my brother !) could easily project ourselves. #2 MY CAREER START IN FRANCE When I started my career in France at P&G, I was surrounded by women leaders who were highly successful in both their personal and professional life. These were great role models for me and reinforced me to think that everything was possible and I could have it all. #3 FINDING MY PASSION The real career accelerator for me was when I chose to move to the Professional business shortly after the Wella acquisition by P&G, a place where I found myself fully leveraging my strengths. I was a beauty lover and wanted to learn a new business model. I did not realize I would genuinely fall in love with the professional beauty industry and find my passion. This industry is all about people and experiences, filled with emotions and inspiration, yet still highly commercial and operational which I love. This helped me perform at my best every single day, keep learning and growing. 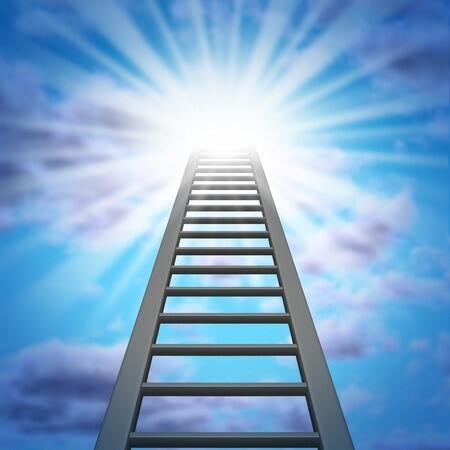 #4 MY WORK TEAM Very early on in my career, I have recognized the power of developing people as THE way to achieving the business goals and sustainable results. I have been and I am still deliberate in surrounding myself with an outstanding and diverse group of people, and to coach my team so that they “thrive” below me. I believe you rise by lifting others! Definitely I owe a big part of my career growth to the great teams I have had the chance to lead and work with. #5 HAVING STRONG MENTORS I am very grateful to the two mentors in my career, both men, who believed in me and pushed me. The first one introduced me to the world of beauty. A Dutch gentleman, Robert Jongstra, who I have had as a boss at three occasions, and who coached and championed me for most of my career. My second mentor is Adil Mehboob-Kahn, who I worked for as CMO for the Professional Beauty division in P&G and who ensured I had the right skills and experiences to eventually succeed him in leading the division after he left. #6 VOICING MY AMBITION One of the best decisions I made was to express my ambition and even dare to ask for my promotions. A difficult and critical step in P&G was to make it to a general manager (GM) position, and I wanted it! One day I realized that I might be forgotten if I was not expressing more overtly – like my male colleagues – my aspiration. I found a way in which I was comfortable to express that ambition to my boss, Robert, (who I knew very well). I told him “it would mean the world to me if I would become a GM before I turned forty”. He never forgets my birthday, and I actually got promoted and reached my objective one month before! #7 MY HUSBAND. One of the best career advice is to pick the right partner in life ! No doubt I made a great decision in my life when I married my husband more than 20 years ago. A clear choice we made early on in our relationship was to both have a fulfilling job while also having a family. This meant we supported each other and had to find ways to manage both our careers without making too many compromises. And I’m proud to say that neither of us ever had to give up our career for each other. We did have to make tough choices, such as living a split family type of life for most of our relationship. Now I actually believe it may be the secret of lasting couples, as we really enjoy seeing each other! #8 BEING A MOTHER I feel very fulfilled as the mother of my daughter Pauline who is seventeen and a true joy. She has changed me for the better. She helped put work into perspective and shine a true light on the meaning of life. She has made me complete. I wanted more children, but the reality is that the second child never came. In any case, having children personally helped me to be stronger at priority setting and being better and more efficient at my work. But most importantly I am truly happy and proud to see the wonderful young woman Pauline is becoming. #9 GETTING HELP AT HOME At home, I have an incredible support system. First my husband genuinely shares the load on parenting and leading our household. We also made the choice to have a full time nanny when Pauline was born, a critical role in our lives. We found it a life saver as we were both working full time and living far away from our families. Although Pauline is now seventeen we have kept our nanny. This is very important for me because running the household is demanding. I think what often makes it difficult for women, is not being a mother and a professional, it is this third role that women are usually responsible for – household management. These are all the chores beyond parenting, such as shopping cooking, cleaning. We made a clear choice with my husband with our demanding careers to delegate that. #10 TAKING CARE OF MYSELF Self-care, rest and recuperation are my fuels for success and happiness. I know that if I am well, I can lead effectively and spread positive energy among others. I have found that taking the time for self-care can often become a challenge, particularly as I need to juggle multiple responsibilities. But it’s incredibly important, and I make a point to take the time for it. I have always prioritized sleep (I love to sleep!) and try to make time for myself. I love pampering time at a salon or spa as a way to switch off and indulge myself. Travelling for vacation is also a big passion for our family, a way to create precious memories, which are so important to us! I feel blessed that I am living my life to the fullest, right here, right now. And as I hope you can tell, I am loving it! I hope some of these tips and experiences can help you in some way. I would love to hear your thoughts. Sylvie Moreau is President of Coty Professional Beauty and a member of the Coty Executive Committee. Her $1.9B division portfolio is home to some of Coty’s biggest brand stars: OPI, the No. 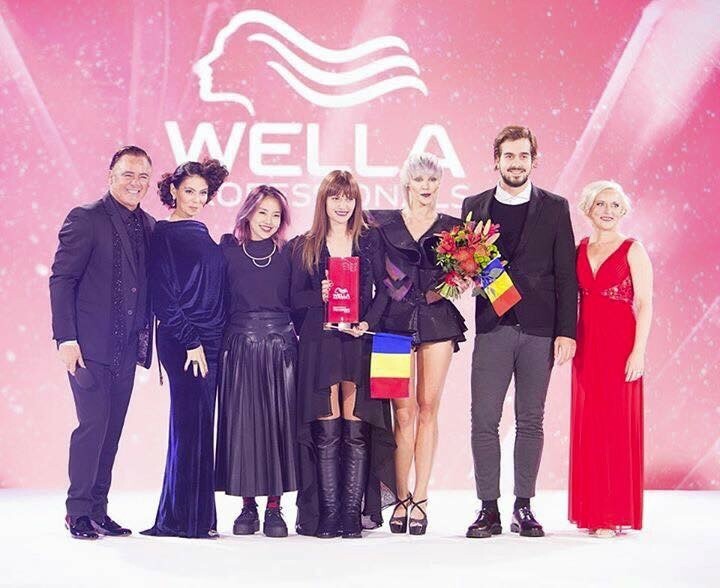 1 nail salon brand globally, Wella, the world’s No. 1 professional color brand and ghd, the preferred hair appliance brand in key markets.